Featuring Fujitsu spokesperson, Keli Santos, and former University of Hawaii and NFL football player, Rich Miano. The spot was filmed on location at Klum Gym on the campus of University of Hawaii. We used a real club volleyball team (Kuikahi) made up of local girls from various high schools around Honolulu for the action sequences. The temperature inside Klum Gym was in the 90's and it was so hot that the girls were sweating like crazy. The final scenes were filmed at a home in Waialae Iki. Dave and the girls did an incredible job as did the crew at KITV under the direction of Troy Gomes. Troy took our idea for the commercial and laid out his vision for the action sequences and audio. Two cameras were used to shoot the spot with Troy on ladders, on the ground and in the faces of the players. We think this is one of the best Fujitsu commercials ever and want to thank Dave, all the Girls and KITV (especially Troy Gomes) for doing a fantastic job. Enjoy the spot that we named "The Coach". Fujitsu's commercial focuses on the comfort and control provided by Halcyon mini-splits and the wide range of styles and sizes available for every heating and cooling need. This Fujitsu commercial made its World debut during Super Bowl LI. The spot ran six times during the Pre-Game and In-Game on KHON2 Fox Network. This commercial was produced and directed by Greg Davis at KHON2 in Honolulu. The script was written by Drew Santos and former University of Hawaii and Philadelphia Jets Player, Rich Miano. Also in the spot are ex Hawaii and NFL players Maa Tanuvasa (2 Super Bowl Championships with Denver Broncos), Leonard Peters and Nate Ilaoa. The Secretary in the spot is the beautiful Monica Hamada and the Star is former Miss Hawaii and Miss USA Runner Up Chelsea Hardin. And of course Keli is in the spot looking good as always. 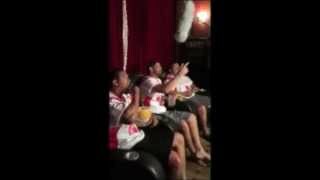 This is a sequel to our first football commercial that featured Rich Miano and former Hawaii football players. 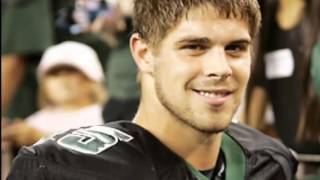 In the first spot, University of Hawaii legend Colt Brennan throws an interception in the big game to a peewee team player. I saw a photo of Chelsea Hardin competing in the Miss USA pageant and went to work on a commercial that could feature her beauty. Thanks to Rich Sheriff, General Manager of the Stan Sheriff Center at the University of Hawaii. We used Rich's office to film the spot. Sincere thanks to all that helped make this commercial possible! 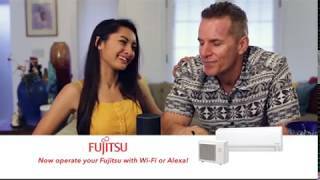 Fujitsu's latest commercial features familiar Fujitsu face, Kellie Santos, along with Drew Santos and Rich Miano. With a major beverage company making us take my Coolest Man in the World commercial off the air, we had to come up with a sequel that would be even better than the first one. I turned to Greg Davis at KHON Channel 2 in Honolulu and presented him with a storyboard and script that brings back the Coolest Man in a very humorous way. The idea was to bring together some really good looking girls and guys and film the spot on the beach. We began by casting the girls with the help of Larson Talent in Honolulu. Three of the four girls were contracted through Larsen Talent. We actually did a casting call at KHON where about nine girls modeled in their bikinis. It was a tough day choosing the models for this spot but I endured and did it for my company. The fourth girl (Monica) is a friend who I thought we be perfect for the part. It took some time to get her to commit to being in the commercial, but in the end she did. For the men, I turned to Rich Miano who introduced me to Royce Mori. Rich also reached out to Leonard Peters who was in a previous Fujitsu commercial. Leonard is extremely handsome and he has the body I wish I could have. I knew that the ladies watching this commercial would love him. Our final actor also came from Larson Talent. His name is Tommy Hackett. Tommy is a National and International model who just completed a major campaign for Hollister. He is also on his way to sign with a major European brand which will kick start his modeling career into another level. Tommy lives on Maui and flew to Honolulu to do the shoot. On the day of the shoot we set up a tent at Ala Moana Beach Park. This served as a make-up department, lounge and dining room. Started the day with a little champagne along with breakfast. We asked the girls what they wanted for lunch and they picked Pizza and Sushi. My faithful assistant Greg Thomas delivered the Pizza and Sushi right after the shoot was completed. Filming was a breeze with Greg Davis, John Veneri and crew taking control of each shot. We had to stop filming several times due to jack hammering, helicopters, sirens and a guy who took three ten minute showers directly behind where we were filming. The girls and guys were all fun and relaxed. There was absolutely no attitude on this set. What a delightful day! View the video of the making of this commercial below. My sincere thanks to the cast and crew who made this so much fun. Stay tuned for the final commercial coming soon from KHON. Take a tour of our new 2,500 sq. ft. showroom located on Waikamilo Drive. Four Waipahu elementary schools are now enjoying the cooling power of Fujitsu air conditioners. Installed right before spring break, Cutter, Buick, GMC, and Mazda Waipahu car dealerships donated the units to help Hawaii's keiki beat the heat. Fujitsu is proud to be a part of this much needed contribution to our local community! 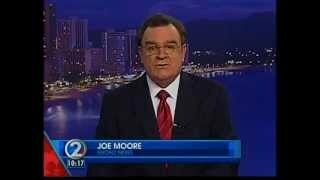 Watch the video above featured on Living 808 on KHON2 News. 1. Fujitsu has the World’s most energy efficient Ductless Split Air Conditioner. 2. Fujitsu has the best warranty. 3. Fujitsu has the highest quality. After several weeks Eun Ho visited Admor HVAC and pitched her vision for this spot. 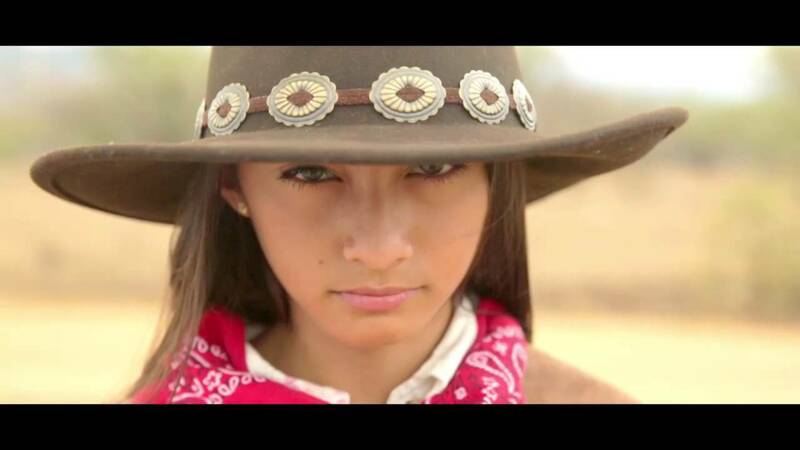 It was to be a Western with Keli playing the good guy and a vicious looking villain playing the bad guy. While her script was not finished we knew that the villain would be the key to pulling this spot off. Only one person came to mind and it was Kaui Kauhi. Kaui is a friend of Admor HVAC and he is a huge, strong and intimidating person. Truth be known, he is really a Teddy Bear with a heart of gold. Kaui spends a lot of his time and own money helping young children in his neighborhood. Every year he feeds hundreds of families on Thanksgiving and also provides school supplies for hundreds of kids. Truly a great person with a huge heart. But the good thing for us is that he can look really mean! Eun Ho visited various costume companies and handpicked the wardrobe for both of our actors. It was hilarious on the set as Kaui’s pants were too small. They were never buttoned but were covered by the large black jacket. We filmed the spot at the Hawaiian Railroad Society in Ewa. Steven Vendt, Operations Manager for the Railway Society was most accommodating and let us film anywhere on the property. Filming began in the morning on a 90 degree plus day. It was hot. Really hot. Kaui was a champ and never complained. He actually never removed his heavy jacket for hours at a time. Eun Ho had done pre-production scouting of the set and had all of the shots planned on a story board. We started with the scene where Kaui spits on the ground and says “oh yeah…we will see about that”. As shooting moved on the clouds rolled in and we had to wait for the sun. We waited in an old rail car on the tracks of Ewa while dumpsters rolled past our set causing dust to fill the air. Water was sprayed on the dirt to help reduce the dust and we were able to finish the shoot in about four hours. Keli nailed her lines with minimal takes. She really has become a natural in front of the camera and she delivers her lines flawlessly. The key to this commercial would be in editing and Eun Ho came through with a masterful job. This spot looks like a high cost Hollywood production but it was done at almost zero cost thanks to Eun Ho. This is one of our favorite Fujitsu commercials of all time. The spot features Koji “Jack” Ito and his beautiful wife Helen. Jack was born on the Big Island in 1925 and is now 89 years young. He has been working for the Admor companies (Fujitsu distributor) for 38 years and has been married for a remarkable 62 years! Jack and Helen have 3 Children, 7 Grand Children and 2 Great Grand Children to keep them busy. Jack also still comes to work every single day with a smile, positive attitude and desire to help people. This commercial was the vision of Drew Santos who has been working with Jack for 21 years. Jack has been an inspiration to Drew because of his attitude, determination, work ethic, honesty and integrity. Jack is the ultimate salesmen who has always gone beyond the call of duty to take care of his customers. He is a tireless worker who never quits and always takes the time to make sure things are done right. When the sale is done, Jack is always grateful to his customers and is always there for them after the sale. Watching Jack over the years both at work and at play moved Drew to want to feature Jack in a Fujitsu commercial. At a recent University of Hawaii Volleyball game where Jack and Helen are season ticket holders, Drew looked over and saw Jack and Helen holding hands while watching the game. Their love for each other after 62 years of marriage is evident whenever they are together. Jack had always shown an interest in being in a commercial. Getting Helen to agree was a different story. Drew sat down with Jack at least a half dozen times to discuss doing a commercial. Each time Drew would ask Jack to go home and see if Helen would agree to let us film in their home and film her in the spot. The very next day Jack would walk into Drew’s office shaking his head. “She won’t do it” Jack said. Ok Drew told Jack. Go back and tell her we will only film the outside of the house with Jack walking around and talking. The next day Jack returned to Drew’s office again shaking his head. “There is no way she will do it” Jack said and furthermore “asking her” repeatedly is causing some tension at home that he doesn’t want. At that point Drew was almost ready to give up and scrap the spot. He called Eun Ho Lee from KITV Channel 4 who was to write, film, direct and edit the spot and explained the situation with Jack’s wife. Eun Ho agreed to meet with Jack at Drew’s office to give a woman’s perspective and touch in an effort to persuade him to do the commercial. Eun Ho sat with Jack and explained that we would only have 2-3 people at the shoot and would keep it very short as to not disturb Mrs. Ito. Jack was a bit nervous when she asked him to go back home and ask Mrs. Ito again. Jack returned to say that we could shoot the spot outside of his house without Mrs. Ito. A date a time were set and the film crew, Eun Ho and Keli went up to Manoa to film the spot. To our surprise, Mrs. Ito let us in the house and agreed to be filmed along with Jack. Having the two of them was critical to the success of the commercial and Eun Ho with her polite charm was able to get the right shots in just a few hours. Next was the editing process where Drew emphasized to Eun Ho that this had to tell Jack’s life story and tear at people’s hearts. One week passed and Drew did not want to call Eun Ho to check on the progress. He thought that would give the spot bad luck. A second week passed and Drew could not wait to see a rough edit. He again held back and did not call Eun Ho because he knew she had to be left alone to pull this one together. Then an email came with a copy of the commercial. Drew watched it for the first time and cried. Wow…he thought. Eun Ho did it! She captured the vision for this commercial and delivered it on the screen. After a week of edits to fix small details the spot “I love you Grandpa Jack” was ready. Drew emailed the final cut to several friends and co-workers and the response was overwhelmingly positive with many people saying they cried or teared up. Great to have this spot in our library and we really do “love Grandpa Jack”! The spot also features former Miss Teen U.S.A. Ashlee Kozuma, Meleana Fernandez and Keli plus members of the Kapahulu Raiders football team. Our sincere thanks to all of the players who arrived at the sets on time and braved 90 degree plus heat on the turf at Aloha Stadium. We are so blessed to have these great people in our Fujitsu commercial. Thanks also to the Hamai family in Kahala who opened their beautiful home to our cast of characters and to Aloha Stadium for allowing us to shoot on the field. The making of this commercial was “magical” with all of these great players and talent. Thanks to Nate Ilaoa and Rich Miano for getting our Fujitsu Team ready for action and to the Kapahulu Raiders who played against these Hawaii and NFL greats. Mahalo also to Greg Davis, Phil and Brigette from KHON Channel 2 for creating and filming this commercial on a shoe string budget. Stay tuned to find out who won the game. This is sure to be one of our best Fujitsu commercials yet!!! Drew Santos is the president and founder of Cooling Cancer, a non-profit organization dedicated to contributing to Hawaii's local efforts in finding a cure for cancer. Featuring Keli Santos and some of Hawaii's best Air Conditioning Contractors. 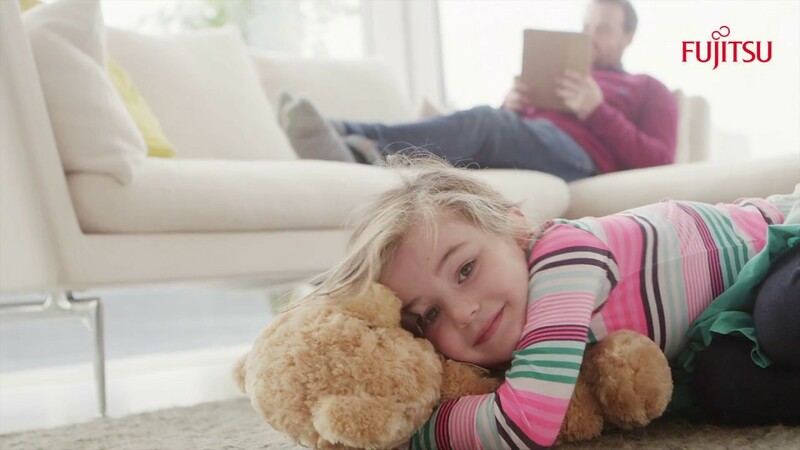 Watch as they tell you why they love Fujitsu air conditioners. "The Picnic" spot was conceived by Drew Santos and brought to life by Eun Ho Lee of KITV Channel 4 in Honolulu. The large Samoan man is Nick who attends the same church as Drew. For almost two years Drew has been thinking of how he could use Nick's presence in a Fujitsu television commercial. He thought of a "date" concept where the little boy (Riley Graves) comes over to ask Keli out on a date. To Riley's surprise there were two large Samoan men there to chaperone the kids on their date. Drew pitched the idea to Eun Ho and she got to work on a script that she titled "The Picnic". Drew went to work recruiting Nick and his cousin who is equally as big to do the spot. Drew's concept featured two large men so that they could "sandwich" the kids in a scene. Eun Ho wrote the script showing two men. Turns out that when it came to shoot the spot that only Nick showed up on the set. Eun Ho smiled and said she could make it work using only Nick. Turns out this was a blessing as Nick was perfect all by himself. The picnic scene was filmed in the Waialae Iki area of Honolulu and features a panoramic view of the Kahala Hotel and Golf Course plus the ocean. Drew and Eun Ho had been on the hill the day before and the weather was overcast and windy. The next day the sun came out and the natural lighting was perfect. The crew had to deal with a little wind which accounted for a few extra takes when the wind gusts came up. Nick had never done television and he admittedly said "he has no patience for this" as they did take after take of the same scene. Eun Ho just kept smiling and saying "lets do it one more time Nick". Nick would give her a stare and then do it again. Nick nailed the part on the hill as did Keli and Riley. The talent and crew then moved up the hill to Drew's home where the door and indoor picnic scenes were filmed. The knock on the door scene was filmed first. Eun Ho took time to make sure each scene was done right. She not only directed the actors but actually shot the spot and was the camera woman. Riley nailed his scenes pretty quickly and then Nick was brought out to do the door scene. When the two doors opened and Nick appeared by himself we all knew that having just Nick was perfect for the spot. Nick's presence at the door had everyone saying "wow". Keli also knocked out her lines and took very few takes to complete her scenes. Felt sorry for Nick as he did the scene where he is eating ice cream. Turns out he had a toothache and could not bite down on the bar. Eun Ho with a smile said "ok Nick, just lick on it". Nick pulled off the scene perfectly. Eun Ho wanted Nick to smile in the last scene where he hugs Riley. This took a few extra takes as Nick was trying to be tough yet gentle. Eun Ho got the shot and the spot was a wrap. All done on a low budget with local talent and a one woman production team called Eun Ho. Eun Ho had the script down on a storyboard and followed it in a professional manner while always cool, calm and collected. Drew was amazed that Eun Ho wrote, directed, edited and actually filmed the spot by herself. She even was responsible for hair, make-up and props. She had everything together including the wilted rose, the good rose, melted ice cream, melted chocolate bar and good ice cream. During the entire shoot she had a water bottle by her side so she could spray Riley to make him look like he was sweating. She gave Riley dozens of shots of water throughout the shoot. She would spray water and then go back to the camera and yell "action". Quite a woman. There were two KITV employees on the set with her to handle lighting and sound. Other than that this was all Eun Ho Lee. The spot was filmed in less than a day and Eun Ho was able to edit, add sound and music in less than 48 hours. The resulting commercial is already getting rave reviews with some people saying it is the best Fujitsu commercial ever! Our sincere thanks to Eun Ho and the entire crew at KITV. This spot was featured during the KHON news in an effort to continue to raise breast cancer awareness. Admor HVAC Products, Inc. is proud to have developed its non-profit organization CoolingCancer.org and actively donates to Hawaii's facilities that focus on research for cancer cures. Familiar Fujitsu faces Riley Graves-Lock and Keli Santos act in another great Fujitsu television commercial. The spot features the two actors on a news set, playing as anchor and weather reporter. 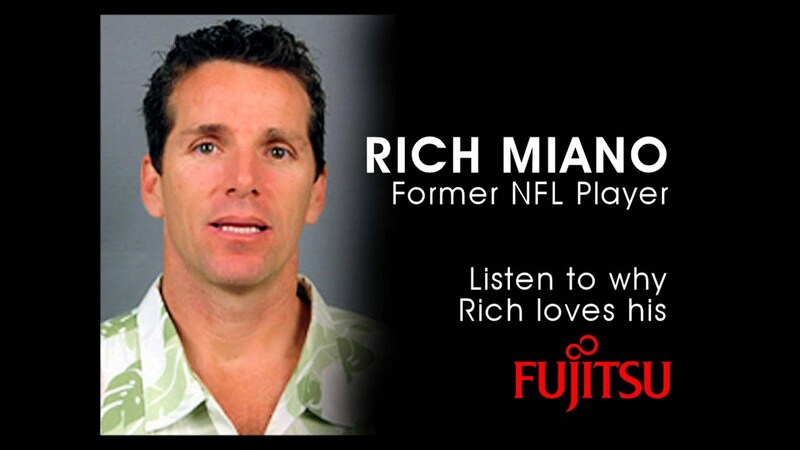 Rich Miano is featured in a radio spot talking about his love for his Fujitsu air conditioner. Benny Agbayani is featured in a radio spot representing Fujitsu air conditioning! Benny Agbayani attended St. Louis School and Hawaii Pacific University before going on to a Major League Baseball career playing for the New York Mets, Colorado Rockies, and Boston Red Sox. Benny earned the nickname "Hawaiian Punch" after hitting several clutch home runs for the Mets. Benny finished his career playing for the Chiba Lotte Marines of the Japanese Pacific League. Benny is back in Hawaii once again- living, working, and teaching softball at Iolani School. Our sincere thanks to Benny for being a part of our I Love My Fujitsu family! Featuring Admor HVAC president, Drew Santos, this Fujitsu commercial hit the airwaves big in July 2013 and aired on KITV, KHON and on the Golf Channel. Hyatt Place hotel features Fujitsu Mini-Split systems. This upscale hotel has 247 units, ocean views, and a Fujitsu ductless-split air conditioner in every unit. Located in the heart of Waikiki, Hyatt Place makes for a great stay for visitors or locals looking for a mini stay-cation. Members of the University of Hawaii cheerleading team loves their Fujitsu! 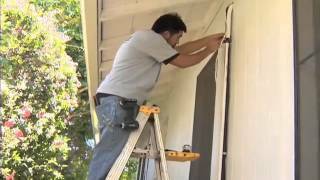 Fujitsu commercial featuring Admor HVAC Products and Cool Living Hawaii. 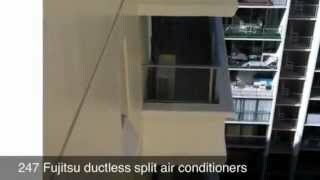 REE Residential Fujitsu air conditioning system and installation. Funny commercial clip created for the pro football challenge. 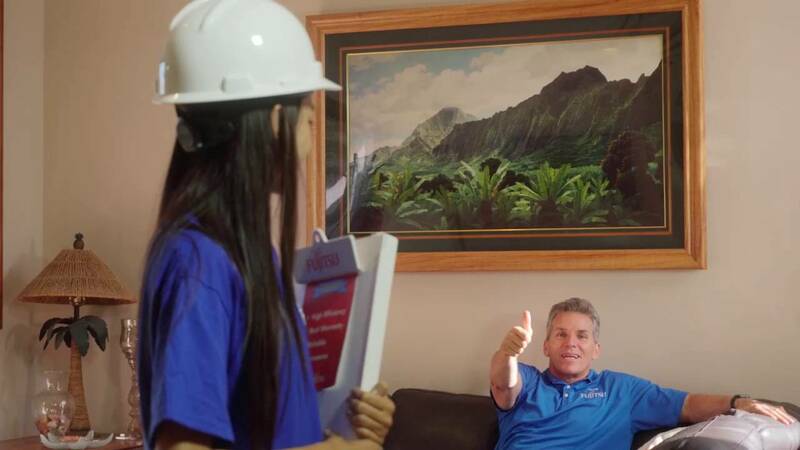 Admor HVAC employees were featured on KHON2 news doing the news channel's iconic shaka segment. Eco Solar Thermal Air Conditioning at Admor HVAC former Hoonee Place location. 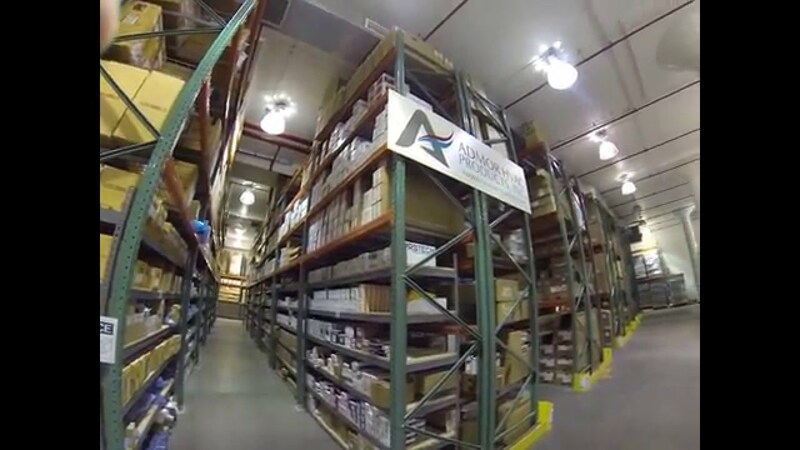 With Hawaii's first solar-assisted air conditioning technology being installed, its no surprise that Admor HVAC is one of the state's first to adapt the new technology. 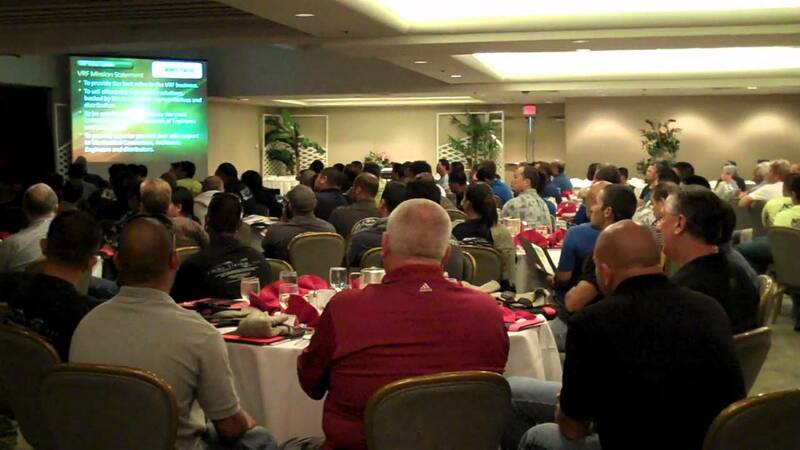 Admor HVAC holds JB (Just Better) Industries Day for Hawaii's air conditioning and refrigeration contractors. JB features American made tools and accessories for the HVAC/R industry. JB representatives flew in for live demonstrations of their newest products. Panasonic demonstrated the ease and power of the 14V driver and amazed everyone. 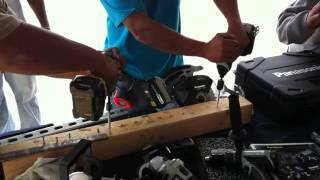 Check out this video of the Tool Challenge where Panasonic's 14V screws faster than the Dewalt 18V and wins! Paul Appler of Cliplight Manufacturing demonstrates HVAC/R Super Seal and Dry R at the Admor HVAC showroom in October 2011. Have a laugh with this funny Fujitsu commercial! An adorable commercial highlighting a little girl's love for her Fujitsu! 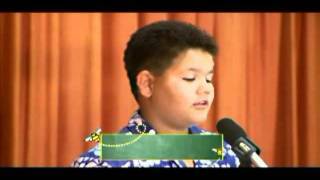 Another classic Fujitsu commercial featuring Keli Santos that aired in July 2011. 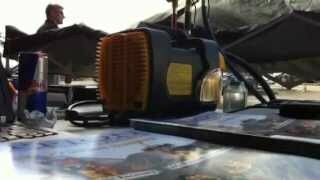 Held at Admor HVAC Products in February 2012. Admor HVAC hosts a kickoff for the Fujitsu Hybrid Flex Inverter System. 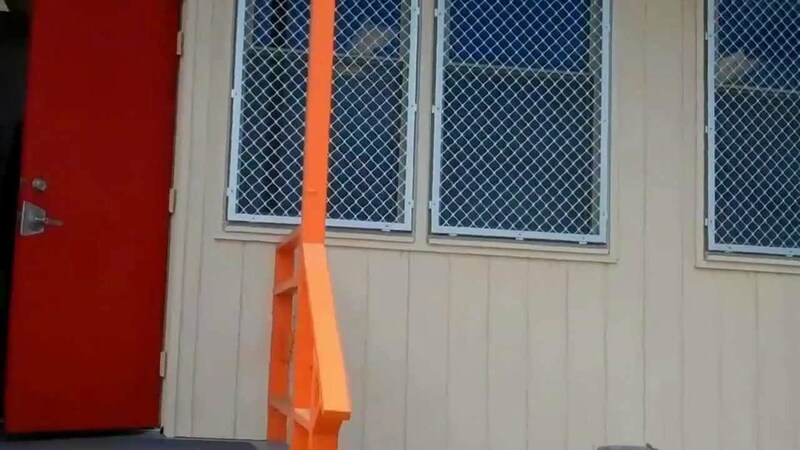 Pohakea Elementary School, Ewa Beach, Oahu: Students are keeping Hawaii's hot and humid days cool with Marvair's Scholar classroom air conditioning systems. Marvair classroom a/c's are quiet so students and teachers can enjoy the cool environment without being distrubed by noises from the system running. 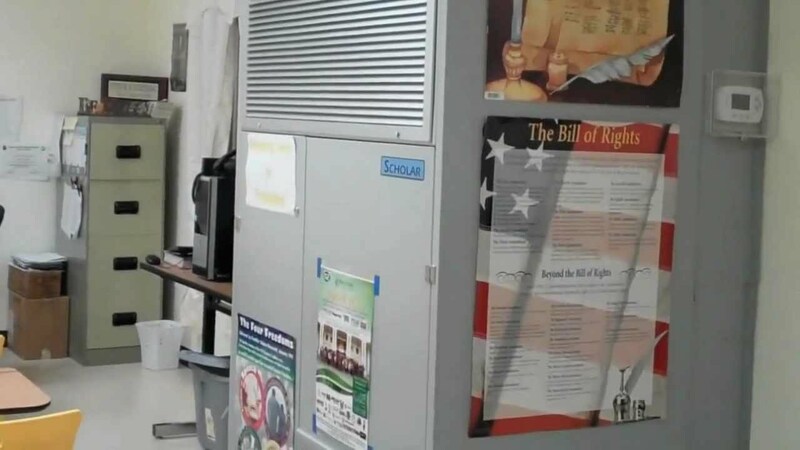 Marvair Scholar Classroom Air Conditioning installation at John F. Kennedy High School in Guam. With the school being rebuilt to address soil and air quality concerns, Marvair was the perfect fit for the new renovations. Students and staff are now enjoying cool, quality and clean air. The original "I Love My Fujitsu" commercial aired in December 2010. Call Admor HVAC Products, Inc. for all your air conditioning needs. 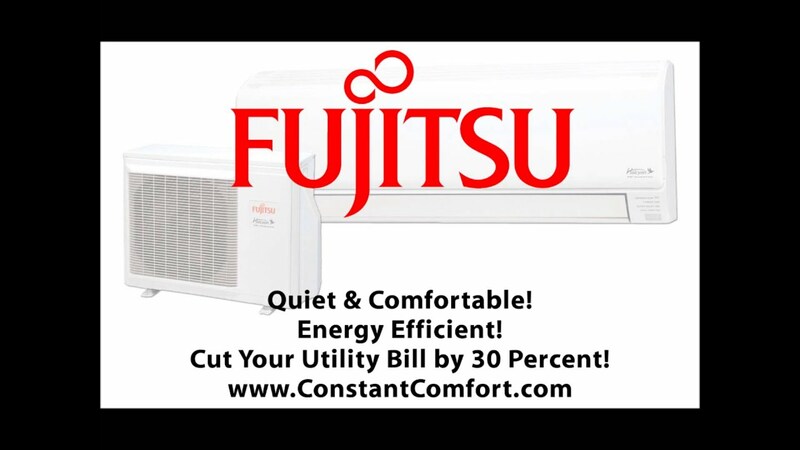 We are Hawaii's HVAC Superstore and the state's ONLY premier dealer of Fujitsu air conditioning systems.